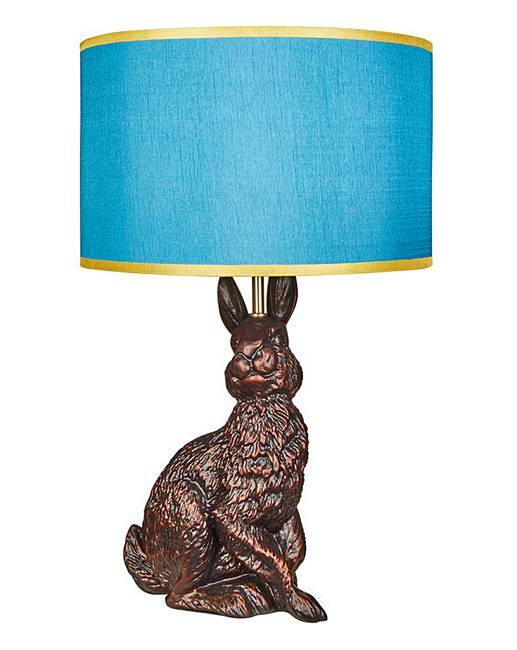 Our rabbit table lamp will certainly create a focal point wherever he’s placed. With intrigued ears and proud statue, he is certain to be a hit when visitors come. Bulb recommended: E14 10W LED candle. 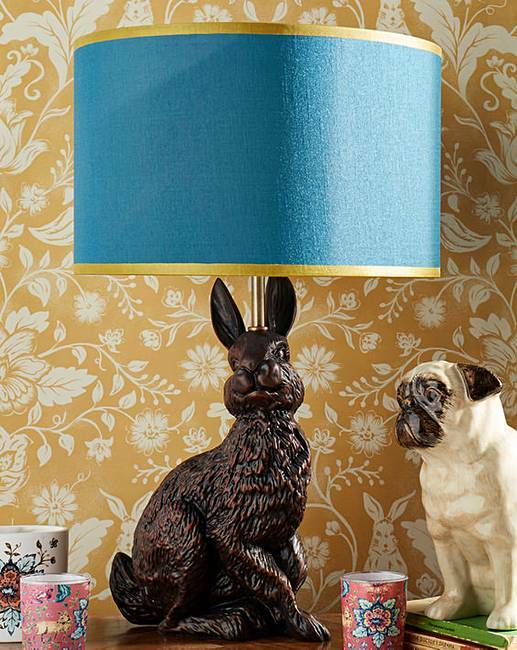 Resin base with a fabric shade.